Trends come and go, but one thing is certain – unless your body shape supports it, you’ll look ridiculous in it! The key to keeping your class and elegance in check (and always manage to look gorgeous) is to understand your curves and work them in your benefit. We all vary in sizes and shapes, and regardless of what world catwalks dictate – not all of us can be walking hangers, sorry! If you are on the quest for the perfect way to dress (perfect for you, at least), we are giving you a few insights into this whole body-fashion drill that may be very helpful in the long run. As we’ve already mentioned, the key to dressing well is to know your body shape, and even more importantly – know which parts of it to hide and which to flaunt. Being delusional on this front won’t do you much good – except waste loads of money on the clothes that don’t fit right, and pile up frustration you’ll need months to detoxicate from. So, let’s embark on this journey together and help you learn all there is to learn about your smashing body. A straight body shape, aka banana shape, is what you see on the runways. The key to giving some curve to this body type is to proportionally dress the top and bottom, and enhance the waist. Tube-type dresses are a perfect option for this body, and if a wide, dark belt is added – you’ll create the illusion of hourglass. If you are going for a more curvaceous effect, mix and match separates to add volume proportionally to your upper and lower body. Ladies with a thicker bottom part and a pretty narrow upper part are a pear shape. If you are going for balance of the upper and lower part of the body, looking to achieve the hourglass visual, add volume to the upper part – emphasize your waist and de-emphasizing your lower body. Maxi dresses with empire waistline are perfect for pear shaped girls. The proportion is the key when it comes to ladies who sport an hourglass shape. 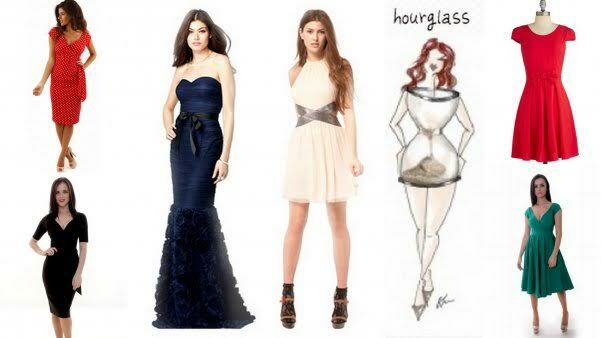 As you already know, the hourglass is the body you want to have these days, so don’t be afraid to flaunt those curves. To avoid looking cheap, make sure you proportionally dress your up and bottom, and if you want to additionally emphasize that tiny waist you’ve got going on – use a belt. If you’ve got a great pair of legs, feel free to play with skirt lengths. This body shape works perfect with all kinds of dresses, from mid-length, to mini, to formal dresses. Take your pick! 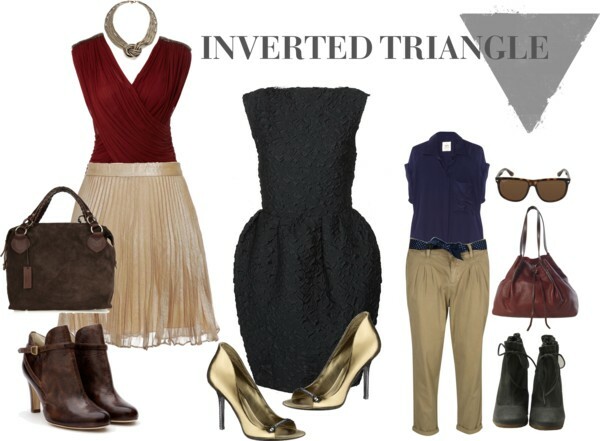 Ladies who are an inverted triangle have a bit broader shoulders, chest and back and a narrow lower body. Since it’s all about balance, wear clothes (bottoms) that are fuller so that they add volume to your hips and visually make you look like hourglass. Don’t go for skirts that are too short because they will further emphasize a top-heavy look. The key to looking gorgeous with this shape is to create a more defined waist by de-emphasizing your midsection. 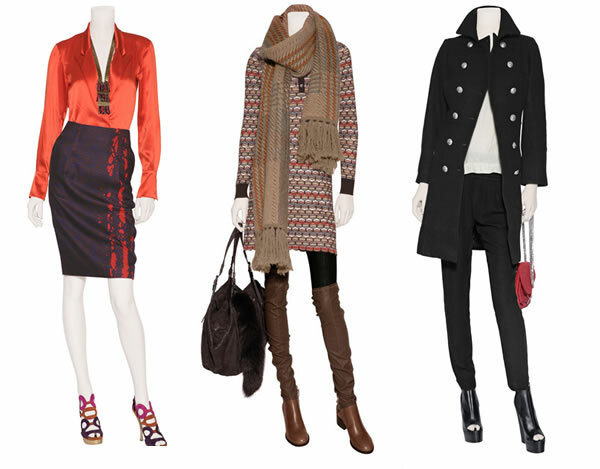 Choose clothing that adds curves and fullness to your lower body and tops that taper to a waist. Again, don’t go too short with the skirt length – otherwise you won’t look proportionate. Well, we hope we helped! Make sure you pick your next outfit wisely and feel wonderful doing it! Very nice guidance to follow. A perfect draping can make you realize how beautiful you are than any other woman. So, always choose to dress that reflects your thinking style, persona, behavior and your complete outlook towards the world.